Our next free monthly breakfast networking club will take place on Thursday 26th May 2016 from 7.30am until 9am. 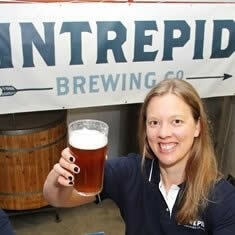 Our guest speaker this month will be Rebecca McIntyre, Director of Intrepid Brewing Company. Rebecca is Part Owner and Director of Intrepid Brewing Company, the first micro-brewery in the Hope Valley area of Derbyshire. Rebecca graduated from the University of Sheffield, first with a BA (Hons) History in 1999 and then returned to complete an MBA in 2006-7. With a background in business development and fundraising, Rebecca first became involved in the world of beer, brewing and pubs as part of the team which brought the Anglers Rest, Bamford, into community ownership via a community share issue, which raised over £250k. In 2014, she co-founded Intrepid in partnership with two others, which was named Brewery of the Year by Colston Crawford in the Derby Telegraph at the end of 2015. The brewery produces four core beers as well as a range of specials and can be found in pubs, bars and bottle shops across Sheffield, South Yorkshire, Derbyshire, Cheshire and Manchester. Rebecca will be presenting on the topic of: From Brewery to Bar, the Journey of Brewing and Selling Beer. Our monthly Breakfast Club is the perfect environment for local business people, engagement managers, gateway coordinators and innovators to network, talk about what your business does and enlist the help of others in making new connections. Held on the last Thursday of each month, the Club is open to small businesses. If your business could benefit from regional awareness and word-of-mouth referrals – and you would enjoy a great breakfast – don’t miss out! 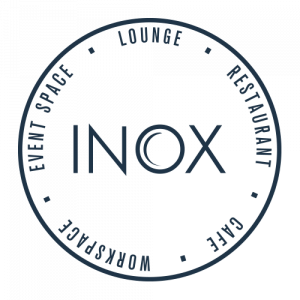 Join us at the first of our monthly business networking breakfast clubs from 7.30 a.m. – 9 a.m. To secure your place, book now with the Inox Dine team via Eventbrite or at dine@inoxdine.co.uk. To find out more and book please contact the team on 0114 222 6043 or fill out our online booking form.